He is the King of the Jews (Matthew 2:2; John 19:19). He was a national [Jewish] person, and the prophesied King of Israel (Zephaniah 3:15; John 1:49; John 12:13). He is King of all the ages, King of Heaven, King of King & Lord of Lords (Ephesians 3:14-21; Revelation 19:11-16). He is the King of Glory (Psalm 24 entire). He is a prophet before Moses (Deut. 18:15; Acts 3:22). A Priest after the order of Melchizedek (Hebrews 7:14-27). A Champion like Joshua. An offering in the place of Isaac (Genesis 22:8). A King from the line of David (Luke 1:32) [biologically through Mary, and legally through His step-father Joseph]. He is the Son of GOD. A Wise Counselor above Solomon (Matthew 12:42). He was beloved (Mark 1:11), rejected (Luke 17:25), then exalted (Isaiah 2:11; Acts 5:31; Philippians 2:9). The heavens declare His Glory, and the firmament shows His handiwork (Psalm 19:1). He is the First and the Last, the Alpha and the Omega, the Aleph and the Tav, the A and the Z (Rev. 1:8; 21:6; 22:13). He is the first fruits [in resurrection] of them that sleep (1 Cor. 15:20). He is the I Am that I Am… yes, He was the Voice of the Burning Bush (Exodus 3:14; John 8:58). He was the Captain of the Lord’s Host in the Book of Joshua (Joshua 5:15). He was the conqueror of Jericho. He is enduringly strong, entirely sincere, eternally steadfast, immortally graceful, imperially powerful, impartially merciful. In Him dwells all the fullness of the Godhead bodily (Colossians 1:19; 2:9); the very GOD of very GOD. He is our Kinsman-Redeemer (Lev. 25:25; Psalm 130:8; Job 19:25; Galatians 4:4-5), and also our Avenger of blood (Joel 3:21). He is our City of Refuge; our performing High Priest (Hebrews 5:10); our Eternal Prophet and our reigning King. He is the loftiest Idea in literature. He is the highest Personality in philosophy. He is the fundamental doctrine in theology. He is the supreme problem in higher criticism, and He is the miracle of all the ages. He is the Perfection of everything good. You and I are the beneficiaries of a love letter that was written in Blood on a wooden cross nearly 2000 years ago. They say He was crucified on a cross of wood, and yet He made the hill on which it stood. By Him were all things made that were made (John 1:3), and by Him all things are held together (Hebrews 1:3). Well, the question is “What held Him to that cross?” It wasn’t the nails… at any time He could have said, “Enough already, I’m out of here!” What held Him to that cross? It was His love for you and for me. He was born of a woman so that we could be born of GOD. He humbled Himself so that we could be lifted up. He became a servant, so that we could be joint heirs with Him. He suffered rejection so that we could become His friends. He denied Himself so that He could bless us in every way. He is continually available to the tempted and tried. He blesses the young, He is a friend to the lepers, He defends the feeble, He delivers the captives, and discharges the debtors. He forgives the sinners. He franchises the meek. He guards the besieged. He heals the sick. He provides strength to the weak; He regards the aged; He rewards the diligent; He serves the unfortunate. He sympathizes and He saves. His offices are manifold. His reign is righteous. His promises are sure. His goodness is limitless. His light is matchless. His grace is sufficient. His love never changes. His mercy is everlasting; His Word is enough. His yoke is easy and His burden is light (Matthew 11:30)… I wish I could describe Him to you! He is indescribable! He is incomprehensible! He is irresistible and He is invincible. The Heaven of heavens cannot contain Him, and man cannot explain Him. The Pharisees could not stand Him, and they learned they couldn’t stop Him. Pilate could find no fault in Him, and the witnesses [at His six illegal trials] could not agree against Him. Herod couldn’t kill Him; death couldn’t handle Him, and the grave couldn’t hold Him. He has always been and always will be. He had no predecessor, and He will have no successor. You can’t impeach Him, and He ain’t gonna resign! His Name is above every name, that at the Name of Jesus every knee shall bow- and every tongue shall confess that Jesus Christ is Lord [to the Glory of GOD the Father]. His is the Kingdom, and the Power, and the Glory- Forever and Ever….. AMEN!!! from Dr. Chuck Missler‘s two hour study “The Christmas Story” which is available through his outstanding teaching ministry at khouse.org . Merry Christmas… to those who are true believers, and to all those who are yet to enter the Eternal Kingdom through the finished work of Christ on the cross, between now and His soon Glorious Appearing. The Messiah According to the Scriptures– Irrefutable and infallible proof of 300 Old Testament prophecies concerning the person of the Messiah… all fulfilled in the historical person know as Jesus of Nazareth. That is the primary reason Advancing Christ’s Kingdom exists. We have the ministry of reconciliation, that He may receive the full rewards of His profound suffering on the cross. I don’t know what to say,,less than to try to represent my country,norway!but a syill don’t know why jesus is supposed to ,or be assumed to be gods son!??? Conclusive proof of the divinity of Jesus of Nazareth– fulfilling all requirements of prophecy in the OT. Jesus ! Oh Lover of my Soul !!!! I Praise YOU Forever !!! for Your Mercy Towards Me !! 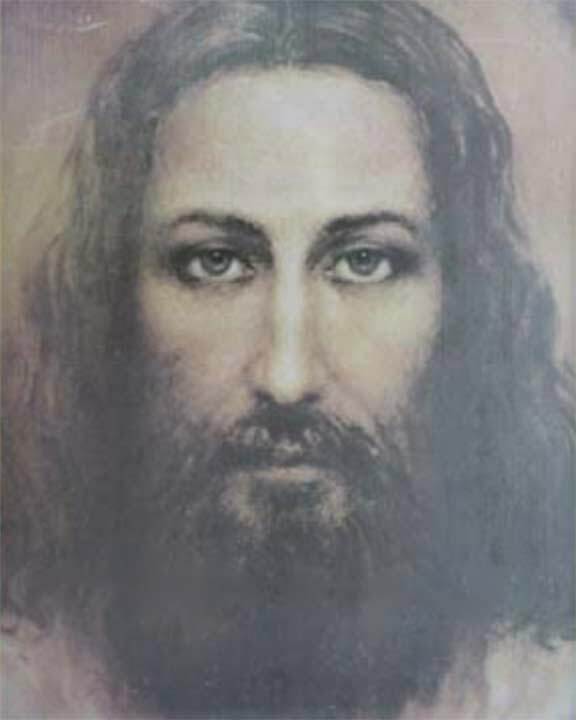 Why do you show Jesus Christ portrayed in pictures that were what the heretical and blasphemous Roman Catholic Church thought Him to look like? He didn’t have blue eyes, long hair, a narrow nose, a light complexion; HE WAS A JEW and He wasn’t anything at all like what these Catholic renditions of Him were. The bible commands us not even to IMAGINE how He looked. What He looked like in Person was for the eyes of the people who lived and walked with Him in that era and has no bearing on Who He is and what He did for us but the RCC purposely ignores everything Scripture says regarding His looks and comes up with the ANTITHESIS of what He would have looked like not only ignoring the command to “make no graven images” but also ignoring everything else that the bible said about His physical appearance!. How could you completely ignore the bible and give your stamp of approval on all of these Catholic pictures of our Lord and Savior? I’m not looking for an argument, I came here to admonish you for a completely different reason; for your wrong division of God’s written word and deny the believer their “blessed Hope” which is very much a part of the life of the Christian. I’ve been lifting up my head for many years in anticipation of the catching away of the saints! You make the grave mistake of believing that the Bride of Christ will go through the Time of Jacob’s Trouble in which BILLIONS will die by the Wrath of the Lamb ignoring the entirety of the bible, including Jesus Christ’s own words. I like Chuck Missler’s comedic summary of the Post Tribulational Rapture Theory, “First, He’s going to beat us nearly to death and after that, call us to a Glorious dinner!” (not verbatim) He made this joke after showing hours of proof using the bible that the Pre-trib Rapture was indeed entirely biblical. Our founding church fathers believed in the catching away of the saints, (Study this and don’t use the broad-brush statement that one man in the 1800’s invented the idea [Darby], that’s a LIE; The idea of the catching away of the Bride is as old as the Christian Church itself) all the way back to Paul who wrote 1 and 2 Thessalonians to clarify some of the false thinking that was going on at the time. He wrote in 1 Corinthians 15:51 “Behold, I show you a mystery”. In other words, something that was not previously known but I am beyond debating this here or anywhere else. Regarding the pictures of the Romish Jesus (who, by the way, is not the Christ of the bible) It would make very much sense to imagine that when the antichrist comes, he may take on the look of this false Jesus to fool every mainline denominational church back to the middle ages including even those on this website as we can see by your acceptance of these heretical pictures. I need only two verses to shatter the RCC pictures of Jesus. You apparently haven’t read the 4 Part Series I posted beginning with ‘The Day of Christ…& The Day of the LORD’. Although I’m allowing your comment to stand on my blog, your tone is a problem- but perhaps you will be open-minded enough to read the 4 essays of the Post-Trib/Pre-Wrath Rapture that clearly shows that there are 2 years and 10 months between the true Rapture (Rev. 6:12+) and the visible return of the LORD of Glory at the battle campaign of Armageddon. That period of time IS the ‘Day of the LORD’. The words ‘wrath’ and ‘tribulation’ in Scripture are distinctly different words which I carefully amplify in my series. ‘Tribulation’ always deals with persecution of the saints/jews and is the wrath of satan and the wrath of man against the people of GOD, NOT the wrath of GOD. Interesting narrative; thank you Tim. Its all about Jesus Christ. Jesus Christ is the way the truth and the life, all others are thieves and robbers. Christ-MESSIAH Jesus-Yeshua is KING of kings and LORD ( ADONAI ) of lords, HE is the ALPHA and OMEGA, HE is the BEGINNING and the END, HE is the FIRST and the LAST! !